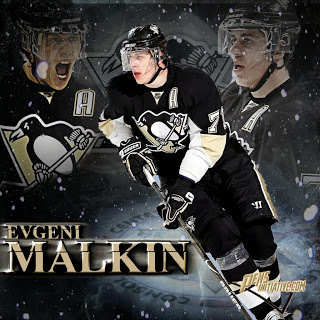 Lost in the shuffle of Evgeni Malkin's game 6 heroics are the in-game adjustments made by head coach Dan Bylsma that enabled the Pittsburgh Penguins to finish off the pesky Columbus Blue Jackets and advance to the second round of the NHL playoffs. Prior to Saturday night's 3-1 victory in game 5, the two words couldn't be used together in a sentence without the (Twitter) universe collapsing in on itself. After Monday's series-clinching 4-3 victory, Bylsma deserves credit for generating a mix of lines that finally forced an opposing coach to have to counter, and when the dust settled, Columbus's Todd Richards had no answers for his former protege's moves. Until that point, the Penguins had been content to roll out their three center model regardless of how their opposing coach matched players and manipulated matchups. Bylsma and his staff exuded a confidence that bordered on arrogance when they tossed out lines regardless of the players facing them on the ice. There was a clear belief among them that the Penguins' individual talent and collective line strength was good enough to always dictate matchups and force opponents to adjust to them, and not the other way around. Bylsma's stubbornness may have continued but following the Penguins' historic game 4 collapse (and a locker room visit by owner Mario Lemieux), he decided to make a change. On Saturday night, Malkin showed up on Crosby's wing, and just like that, Todd Richard's carefully weighed matchups became moot. True, the Penguins had now stacked their proverbial eggs into one basket, but given both Malkin and Crosby's 60% Corsi figures, Columbus had no solutions. Brandon Dubinsky had a tremendous series for the Blue Jackets in neutralizing Crosby, but when Malkin joined them on the ice, at least one of the Penguins' superstars was going to find room, and in game 6, it was Geno that tallied the hat trick. The larger question is this: how did putting Malkin and Crosby together tilt the ice in the Penguins favor, and will Bylsma continue to mix lines next round? Simply put, Saturday and Monday's line combination of Malkin/Crosby/Chris Kunitz forced Columbus to abandon its defensive assignments and forced them to scramble personnel. Before the changes, Dubinsky would more or less shadow Crosby by jumping onto the ice anytime #87 had his shoulder tapped. For Richards, this was autopilot coaching: Dubinsky covered Crosby, and Ryan Johansen covered Malkin. Columbus's strategy was not unique or unexpected: Boston split up Bergeron and Chara to handle the Pens' two top players in the Conference Finals last season, and the Philadelphia Flyers routinely put Sean Couturier out against Malkin. What stacking Malkin/Crosby does is break up the other team's lines, so even if the opponent adjusts players to achieve the individual matchups they want, they can no longer make automatic 87/71 adjustments, especially if Bylsma alternates between stacking his deck and having Crosby and Malkin center their own lines. Given the immediate dividends, Bylsma is likely to continue mixing his lines and attempting to maximize his personnel against whatever shutdown assignments the Penguins' round two opponent uses. This is where the health of Brandon Sutter becomes critical, as the emergence of Sutter has freed up Malkin to play on the wing, and gives what had been the static Penguins lines a sudden dynamic element. Joe Vitale may not have the points to show for his efforts in round 1, but along with Marcel Goc, he gives the Penguins serviceable options down the middle should the Penguins indeed rotate Malkin between the first two lines. Kunitz will remain on Crosby's wing, and James Neal might benefit from having to create his own shots instead of being spoon-fed by a constantly deferring Geno. As for the rest of the Penguins' lines, if Gibbons can return, his speed enables him to be serviceable and contribute alongside Crosby in Malkin's absence. Jussi Jokinen is able to play both wings and center, and could be moved up and down the lineup as needed. Finally, Beau Bennett has the chops to play on the top two lines, but has appeared to be at his best on the third when he's matched on the ice against lesser competition. The option of shifting players and making the top three lines interchangeable gives Pittsburgh the opportunity to pit their superior individual talent against weaker defenders. Bylsma capitulated and found immediate success, and his new formula for generating offense- adjustments- will serve the Penguins well in round 2 and beyond.